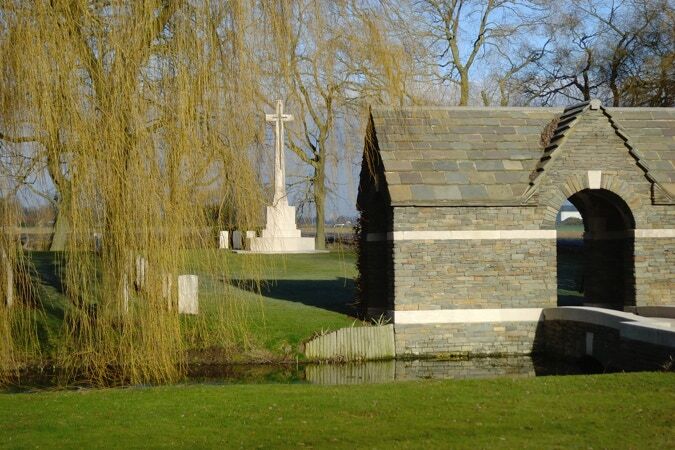 From the first Australian Western Front action at Fromelles in July 1916 (left - Le Trou Aid Post Military Cemetery) to the Hindenberg Line actions in October 1918, you can follow them all on our suggested 3-day (2 nights) itinerary. We can include - or give prime focus to - New Zealand’s story from the Somme in September 1916 to the storming of the walls in Le Quesnoy in November 1918. Meet at a Lille hotel or at the station: 1 hr 25 from London St Pancras; 1 hour from Paris by train. 45 min drive to Ypres: tour taking in the Messines Ridge (June 1917), Caterpillar/Hill 60 (site of Australian mining operations), Menin Road & Polygon Wood (September 1917; 5th Australian Division memorial), and Passchendaele - then into Ypres itself for night in hotel, with attendance at the 8 p.m. Last Post Ceremony at the Menin Gate memorial to the Missing. 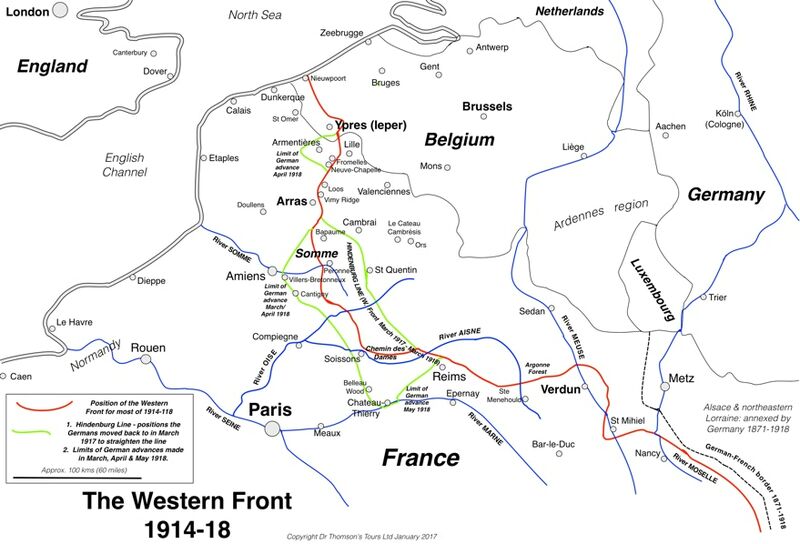 Travel 45 minutes south to Fromelles (July 1916 - the first Australian battle on the Western Front; 1 hour here) a further 45 minutes to Bullecourt (April/May 1917 battle: 1 hour here), then on [via snack lunch stop] a final 50 minutes to Villers-Bretonneux: Adelaide Cemetery (from which the Unknown Soldier was taken to Canberra in 1993), the Australian Memorial (with the list of all the Australian missing in France), and the Franco-Australian Museum. 30 minutes drive to Amiens for the night. 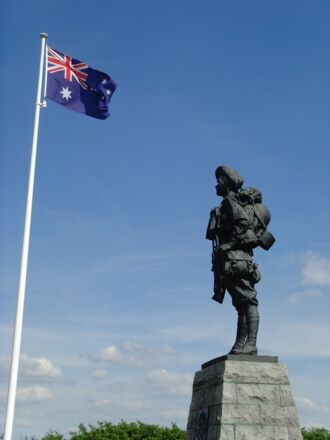 Day tour taking in Pozieres village (July/August 1916: Gibraltar and Windmill memorial sites) and Mouquet Farm, scenes of the principal Australian fighting in 1916. 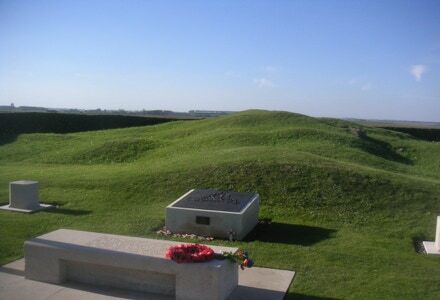 We will also visit Flers/Guedecourt (New Zealand and Australian fighting in September & October 1916), the Thiepval Memorial to the Missing, and preserved trenches at Beaumont Hamel. Leave mid-afternoon, for a 45 minute drive back to Lille to finish. This tour could be adapted to start/finish at a Paris hotel if the tour involves a minibus/coach - it is an approximately 3 hr drive to the first & 2 hour drive back from the last sites.